Below is an e-mail I received this week from The Feingold Association. We have two days (nice of them to give so much time), to write the USDA to let them know how we would like to see school lunches. Feingold is asking people to write to tell them that we want to see food dyes removed from school breakfasts and lunches. Below is a sample letter you can copy and paste if you want, or just send a quick note saying you would like to see dyes banned from school cafeterias. There’s power in numbers and I hope you all can take the time to help make an impact. I just sent mine. I copied the first paragraph, then wrote my own words after that. You have to fill in your name and address on a form first and apparently, your message will eventually be posted on this web site for all to read. I didn’t know that! I told them to ban school treats while they were at it because our kids were all too fat anyway! (not mine though) I wrote. LOL! Nice. Didn’t know anyone else but the government was going to be reading it. Oh well. Just wanted to warn you all. Alone we are only one voice, but TOGETHER we are many! We need your help to get food dyes out of schools! The U.S. Department of Agriculture (USDA) has proposed common-sense standards to improve school lunches and breakfasts: more fruits, vegetables, and whole grains; fat-free and low-fat milk; less salt; fewer unhealthy saturated and trans fats; and moderate calories. 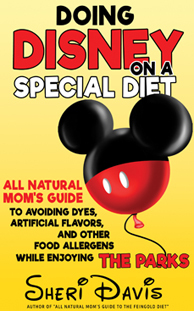 BUT, USDA did nothing to get rid of food dyes, which the Food and Drug Administration acknowledges cause hyperactivity in some children. I hope that you, as a parent concerned about the effect of dyes on children, will send a comment to USDA! Tell USDA that dyes have no place in school breakfasts and lunches. The deadline for comments is Wednesday, April 13th. Copy and edit the sample comment included below, if you wish. Or submit your own comment or your own story. (The form gives you only 20 minutes, so you may want to prepare it first, and then paste it in the form.) Whatever you do, please submit a comment. This is our golden opportunity to get dyes out of school foods in the U.S. Sample Comment to edit as you wish. I thank USDA for its efforts to improve the nutrition quality of school lunches and breakfasts. However, USDA’s proposal says nothing about food dyes. As a parent of a child whose behavior is impaired by dyes, I strongly urge USDA to bar the inclusion of any foods containing synthetic dyes (Red 40, Yellow 5, and others) in the School Breakfast Program and National School Lunch Program. These neurotoxic chemicals have no place in school cafeterias. The evidence for an adverse effect of dyes on the behavior of some children is widely recognized. In fact, the British government, on the basis of two major studies that it commissioned, has urged (largely successfully) food manufacturers to switch to safer natural colorings. Subsequently, the European Union required that most dyed foods bear a label warning. 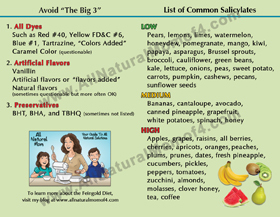 And recently the FDA acknowledged at its March 30-31, 2011, advisory committee meeting that dyes (and other food constituents) impair the behavior of some children. Because dyes harm some children, because dyes serve no health function whatsoever, because synthetic dyes can be replaced by safe natural colorings, and because school meals are consumed exclusively by children, the only responsible action is to bar the inclusion of dyes in school meals. Posted in Feingold Diet and tagged Feingold Diet Info. Thanks, I'll work on a letter! 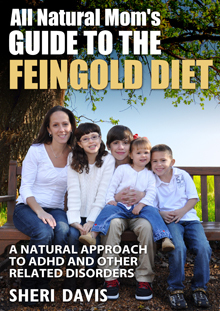 We are a Feingold 1 family and have been using diet therapy for about 2 years. There IS power in numbers and its crucial we keep talking and sharing this information. 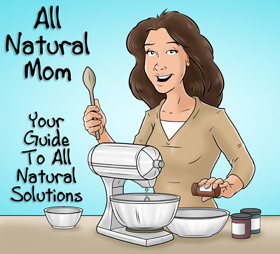 So many people are unaware that dye can have a detrimental effect on our kids, really on all of us and especially those with add / adhd tendencies. I know. Thankfully, it seems to be getting a little better. I'm happy to see high fructose corn syrup getting outed. Hopefully, dyes will follow. If we demand it, it will happen.